Tile and grout is one of our most popular services, because as much as you try to keep up with the regular cleanings, grout stains are tough and sometimes you need a professional cleaning company to help you out. 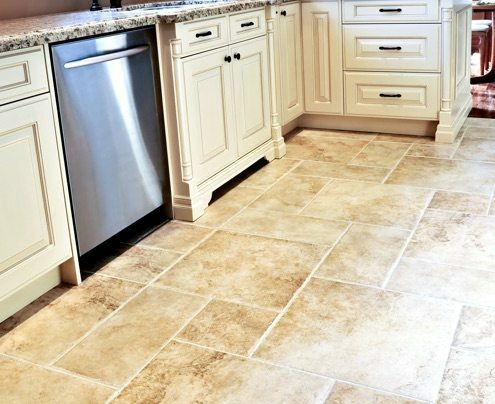 We know the feeling; you installed this beautiful (and expensive) tile, and then you spill your cup of coffee (or wine) and not only are you upset....you just want them gone! So whether its brand new kitchen tile, or tile that is ten years old; we can bring it back to life and remove stains that you thought you would never see gone. The way we clean tile and grout is unmatched. Our tile and grout cleaners use a special after treatment to help resist new stains from sticking. Reach out to us now to find out about any specials we are offering on this specific cleaning service and let us show you how clean we can get your tile and grout lines cleaner than you even imagine. When customers are looking for the best tile and grout cleaning company, there are certain characteristics the cleaning company they hire should have....and we possess them all. We have all the top of the line cleaning prodcuts with compeititve prices to reel the customers in, but the satisfaction and results to keep them coming back. Old kitchen, or new kitchen - doesn't really matter. Clean things get dirty, and we at Spots and Dots get things clean...especially grout lines and tile. 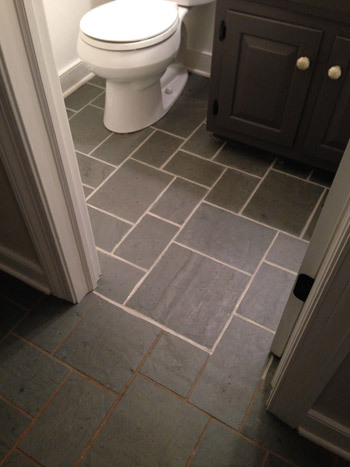 If we are at your home; let us show you a sample of what our tile and grout professionals can do for you! The bathroom is the place you get clean; it's only right to make sure that your floors are clean too and not only do we remove stains on your tile, we also leave the bathroom pretty smelling nice too! Give us a call today to schedule your appointment.